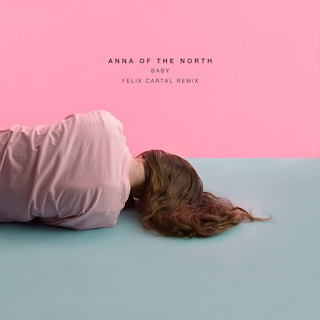 RockChickenz: Anna of the North premieres new remix "Baby (Felix Cartal remix)"
Anna of the North premieres new remix "Baby (Felix Cartal remix)"
Epic, swooning and ethereal, Oslo based act Anna of the North recently arrived with the new single, "Baby," exclusively on Noisey. Now, Vancouver native, Felix Cartal premieres his shimmering re-work of the track, streaming on Mr. Suicide Sheep. 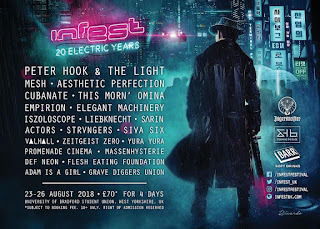 A relentless touring schedule and tireless work ethic have led to Cartal's continued rise as one of dance music's premier producers. Never content to reproduce the same sound, his artistic evolution has resulted in a unique style defined by memorable melodies, beautiful vocals, and driving bass. 2016 has seen the release of multiple remixes by Felix, all of which have topped the Hype Machine charts, including Kiiara's "Feels" and Wafia's "Heartburn". The JUNO nominated artist has performed on the stages of Tomorrowland, EDC, Electric Zoo, and HARD, as well as clubs around the world. Anna of the North's Baby is the highly anticipated follow up to previous releases, "The Dreamer" and "Sway," which were streamed over 30 million times, and caught the attention from tastemakers like Fader, NYLON, Pigeons and Planes, and rose to number three in the Hype Machine charts. "Sway" also garnered an official remix from certified hit makers, The Chainsmokers.